Entrepreneurs Festival: Over 1,000 members of the NYU startup community come together to connect, collaborate, and celebrate entrepreneurs across the University. Grow your startup knowledge and make lasting connections. NYU Alumni Entrepreneurship Network: The NYU Alumni Entrepreneurship Network is a community for NYU alumni interested in startups and entrepreneurship. Berkley Innovation Lab Office Hours: The W.R. Berkley Innovation Lab can help you develop strategies and determine next steps for moving your concept forward. Special Interest Alumni Networks and Clubs in NYC: Sign up to hear about upcoming alumni club events where you can meet, network, and share experiences with like-minded alumni. $300K Entrepreneurs Challenge: The $300K Entrepreneurs Challenge comprises three individual competitions, whose winners will share a total of $300K in cash and startup services. Mission: Appossible: NYU students, alumni, faculty with a great idea for an innovative mobile app are invited to compete. The winning team will receive $10,000 in cash or have its app fully developed by Messapps. Veteran Entrepreneurship Training Program: VET was designed for U.S. military veterans and spouses who want to transition into entrepreneurship after completing their service. Through the program’s business and technology training, participants are given the tools to turn aspirations into career opportunities and new ventures. 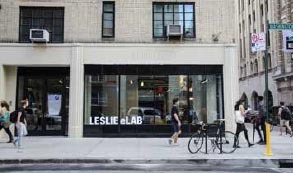 Graduates will earn a VET Certificate from the NYU Future Labs and Bunker Labs New York.